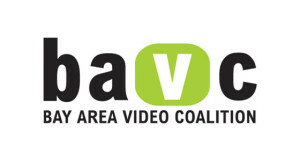 This toolkit from the Bay Area Video Coalition (BAVC) contains information about the distribution of youth media, including knowledge and expertise from distributors and youth media specialists, guides to structure your efforts, practical tools and tips, and related resources, organizations, links, and articles. BAVC (Bay Area Video Coalition) is a media lab and tech nonprofit in San Francisco that for 40 years inspires social change by empowering media makers to develop and share diverse stories through art, education and technology. In partnership with Letters to the Next President, BAVC will offer a series of practitioner guided trainings, curriculum, and youth-generated content in video and audio formats. As an ongoing contributor to KQED’s Do Now prompts, BAVC’s Next Gen programs continue to generate and contribute to civic and social justice discourse through the lens of the next generation.